The flights to be added four times a week will make Air China the only Chinese carrier serving Newark Airport. Up to now, Air China has been operating two daily flights from Beijing Capital International Airport to JFK Airport. 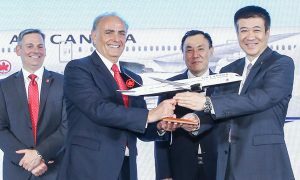 In 2015, Air China has been cementing its global route network with its hub in Beijing and expanding its footprint in the Americas. 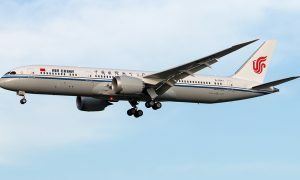 Currently, Air China serves 8 destinations in North America, including New York, Washington, Los Angeles, San Francisco, Houston, Vancouver, Montreal and Hawaii, offering over 140 flights per week operated with Boeing 777-300ER and Boeing 747-8. 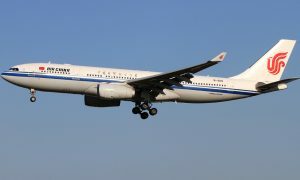 In addition, Air China also offers healthy seasonal in-flight meals and VIP chauffeured transfers between the airport and downtown for passengers on the China-US flights. Comfortable cabin environment and attentive services guarantee passengers a truly pleasant travel experience. The flights CA819/820 Beijing-New York (Newark Airport) are operated with Boeing 777-300ER four times a week on Monday, Tuesday, Thursday and Saturday. The outbound flight departs from Beijing at 09:35 and arrives in Newark Airport at 11:05 local time. The inbound flight departs from New York at 13:25 local time and arrives in Beijing at 14:55 Beijing time the following day. The flights CA981/982 Beijing-New York (JFK Airport) are operated with Boeing 747-8 on a daily basis. The outbound flight departs from Beijing at 13:00 and arrives in JFK Airport at 14:30 local time; the inbound flight departs from New York at 16:50 local time and arrives in Beijing at 18:20 Beijing time the following day. At the same time, flights CA989/ 990 Beijing-New York (JFK Airport) are operated with Boeing 777-300ER on a daily basis. The outbound flight departs from Beijing at 10:00 and arrives in JFK Airport at 11:30 local time; the inbound flight departs from New York at 13:50 local time and arrives in Beijing at 15:40 Beijing time the following day.